Povabljeni smo bili na natečaj za zasnovo imena in podobe kafeterije v New Yorku, in zmagali. Ime kafeterije smo zasnovali kot zkovanko dveh italijanskih besed »adesso« (zdaj) in »intermezzo« (premor). V nadaljevanju preberite tekst zagovorja, ki sem ga napisal naročniku. “I adore coffee. I drink as many as seven espressos a day. Always the same effect. You are right here. You come alive. Forget about point A from which you started and point B which you want to reach. Here and now you are living the most beautiful moment of your life. The only one you've ever possessed is here now. In this room. Nowhere else. The espresso I drink during my break between point A and point B always reminds me of that. My starting point no longer exists. It has become a shadow of events, time and space, which are slowly sinking into the misty depths of the past. And the point I am headed to is still somewhere out there in the future, uncertain, non-existent. The fruit of my desire. A projection of my imagination. But for this third espresso, my life would not exist today. I would merely be thinking about those two imaginary points and silently watching real life unfold past me, here and now. The past and the future are fiction. Here and now, that's all I have. And my espresso. Apart from referring to the present time, the word 'present' carries one more meaning. We use it for a ‘gift’, too! Isn't it a coincidence? Of course not. There are no coincidences. It keeps reminding us that being aware of the present moment is a gift of life. Here and now. That is all we have. Take it. In italian, Adessomeans now, and Intermezzois a music interval. 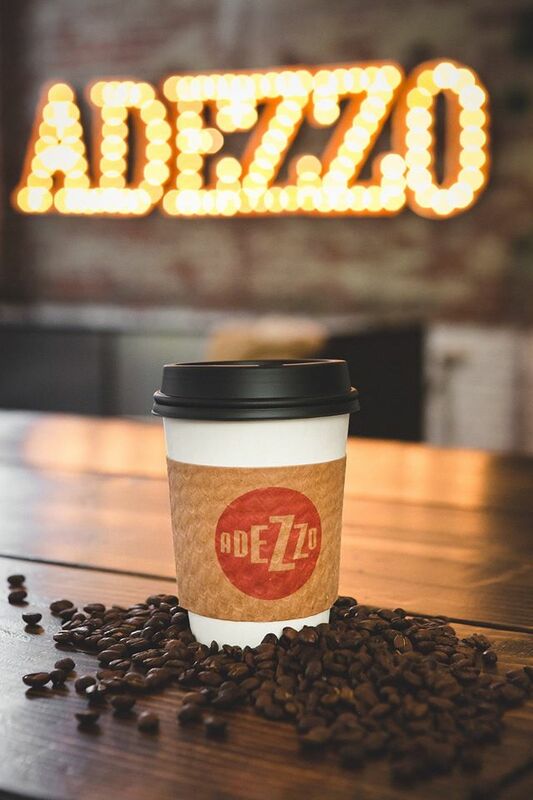 We have merged these two words and so we get - Adezzo.